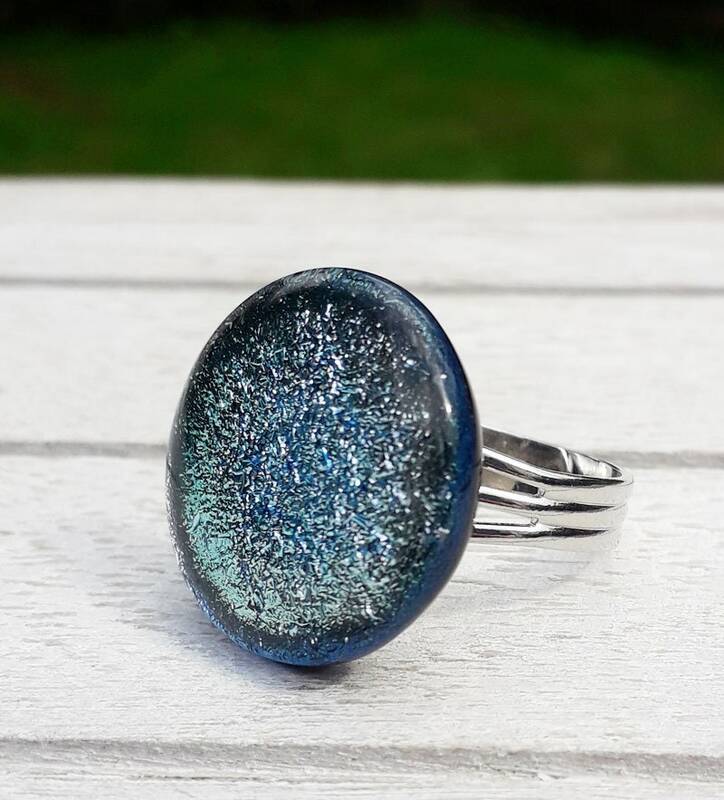 Fused glass ring, in silver, pale blue, and black glass on a silver band. 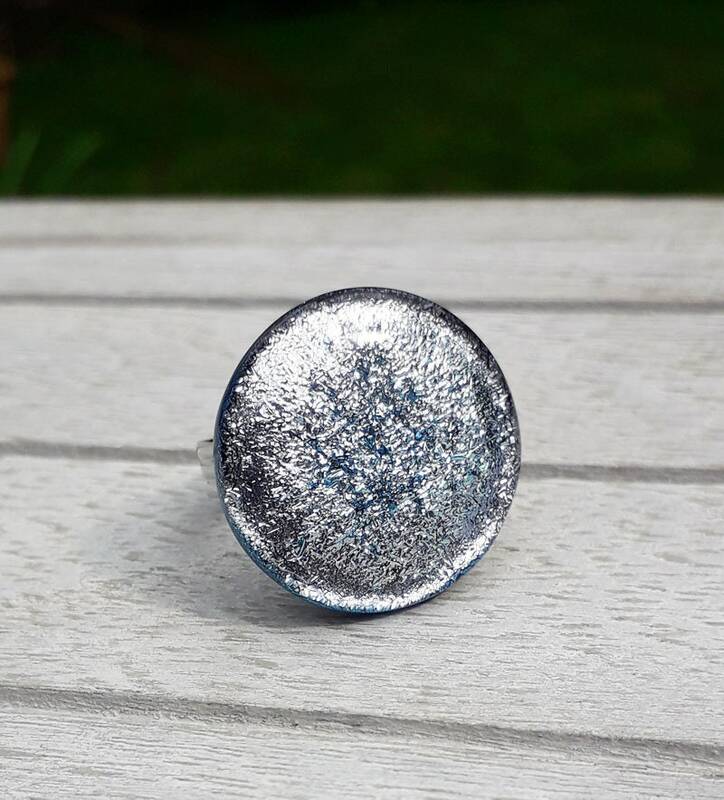 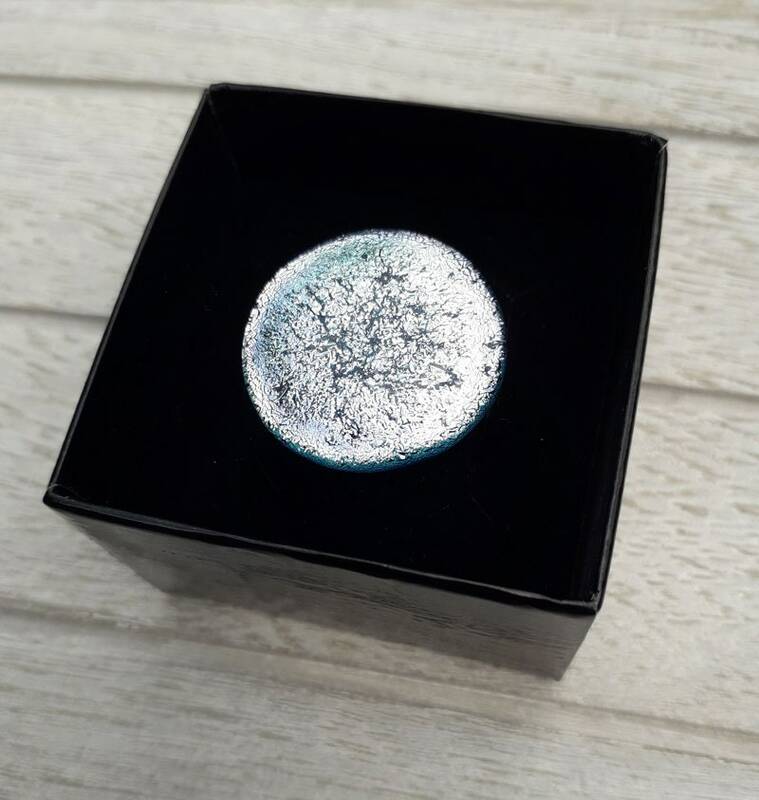 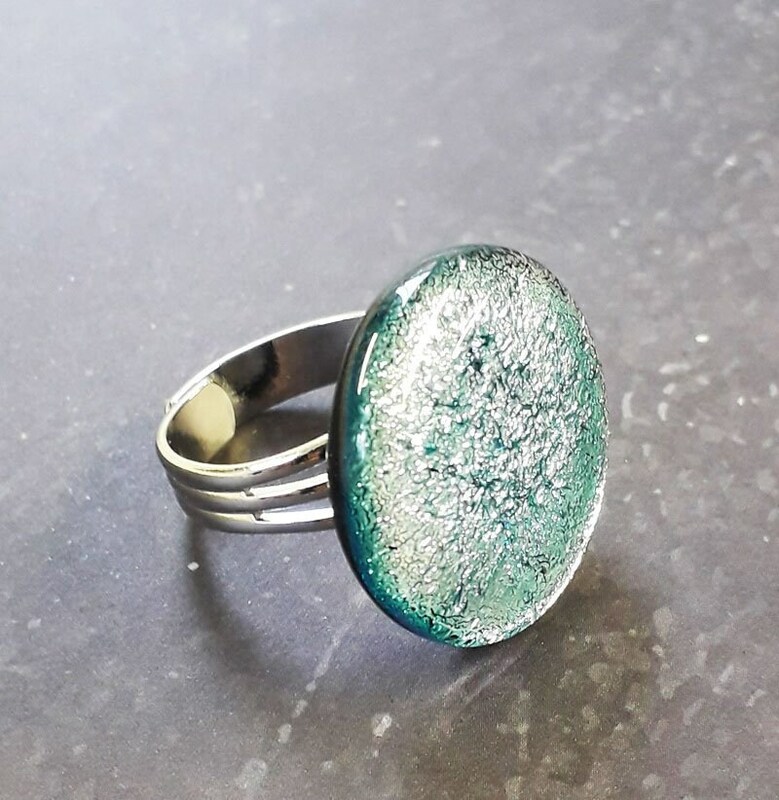 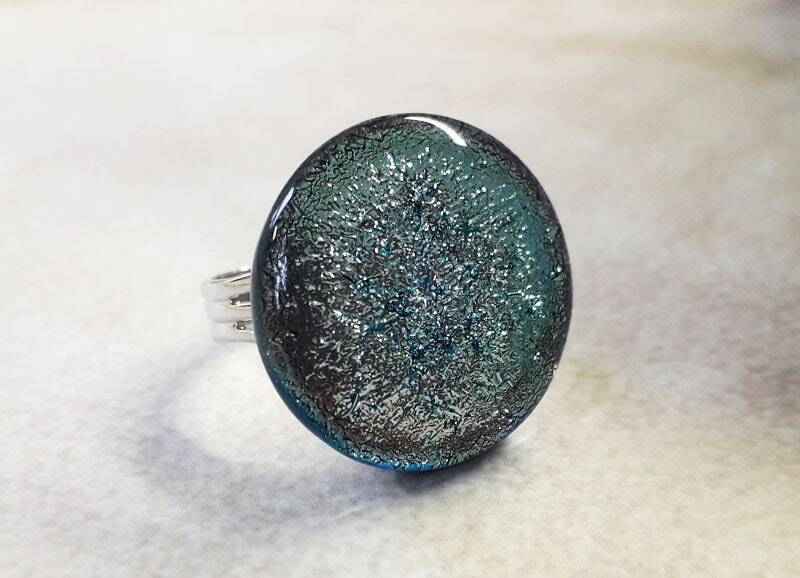 This ring has a medium sized cabochon made from fused dichroic glass in bright silver. 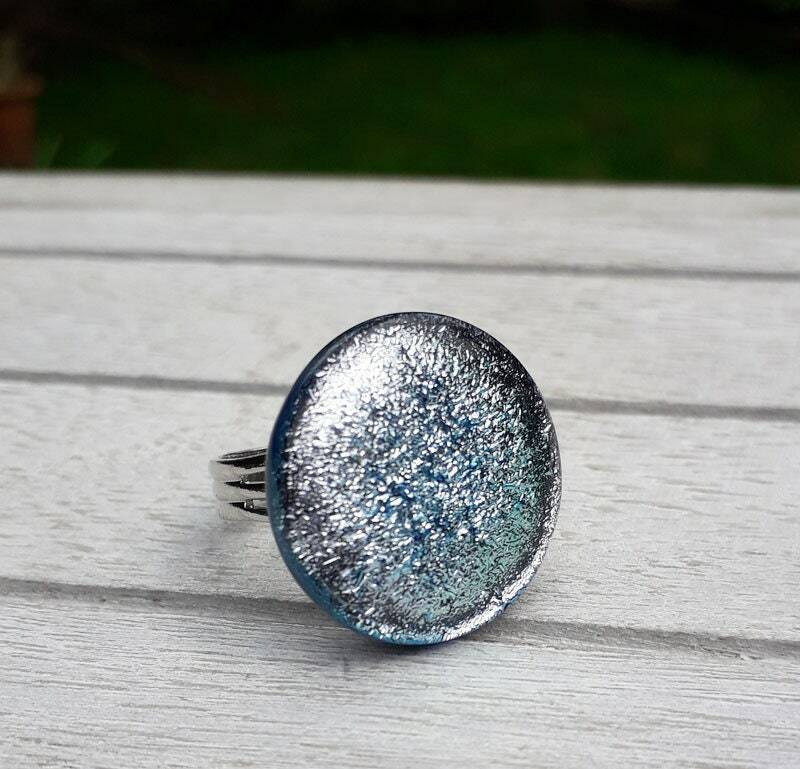 If you move the ring around in the light, the colour takes on a pale blue tint when you look at it along the edges. 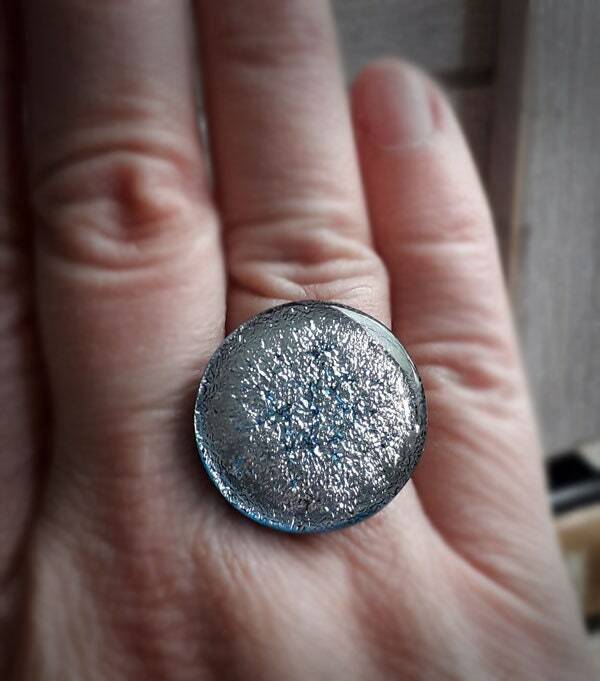 It's about 22mm diameter, and is set on an expandable silver ring.